The first spoonful of chicken chorizo vegetable stew tastes rich and savory, slightly smoky with a faint residual heat. Hard nuggets of potatoes and carrots have slowly cooked into creamy, grainy morsels, rising as mountain ranges just above a sea of sienna-colored broth in the bowl. Scattered dark green islands of poblano pepper and specks of oregano form an archipelago. The broth glistens from chicken fat and tomato-chorizo stock, making each slurp feel more indulgent than wholesome and nutritious. Chunks and shredded bits of meat from chicken legs, thighs, and backs are distributed throughout the earthy stew. Earlier this evening, I debated what I should eat for dinner after waking from an afternoon nap. My head was still groggy. My muscles sore from work over the weekend. I thought about visiting the newly-opened Black Sheep + Market, a farm-to-table restaurant and market from chef Michael Foust and his partners at The Farmhouse. 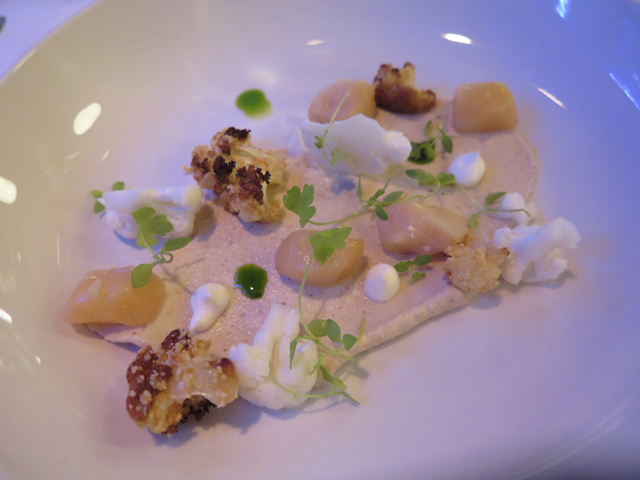 Or, perhaps I could head to The Rieger for the debut of their new fall menu. Recently, someone had shared a photo of the gargantuan pork tenderloin sandwich at The Firehouse on 20th Bar and Grill The image inspired a craving for the tenderloin and cold, cheap beer. I wrote about that impressive made-from-scratch sandwich three years ago. The sandwich is big enough to constitute two meals. Customers often buy an extra bun for fifty cents and take home the leftovers for a second meal. However, after splashing cold water on my face, I resorted to peering inside the refrigerator. As often as I open the fridge, you’d think I would have its contents classified and memorized like it was my social security number. Whether it is before midnight, first thing in the morning, or just as hunger pangs inspire action for supper, I often take a gander inside the fridge. Sometimes I’ll also peek in the freezer and then double back to the fridge in case I missed something. At first, I’m reacquainting myself with what’s there or, more often, not there. Other times I open the door and look inside. I’m full of hope as if I’m scratching away at a lottery ticket to score $500 or a beef Wellington. Usually, I’m either assessing leftovers or calculating ingredients and what can be composed into a meal. I opted for the container of chicken chorizo vegetable stew. Technically, the food wasn’t leftover but instead a dish I prepared a few days ago from various ingredients lying around. I threw them in the crockpot, cooked and seasoned the stew, and then stored it for later in the week. I waited impatiently for the stew to reheat in a deep saucepan on the stove. I could have abandoned the preparation and easily bolted for a restaurant. There, I could sit, drink, and indulge in someone else’s cooking. Yet, I’m glad I didn’t tonight. I don’t mind spending money on food and drink prepared and served at local restaurants. Not only does it support the local economy, but it also breaks up the monotony of cooking and eating my food daily and nightly. Eating out provides ideas, inspiration and social interaction, a chance to see the results of another cook’s labor and creativity. Sometimes eating a home-cooked meal provides its own reward. The sensory payoff of a dish’s flavor, aroma, and presentation makes the effort worthwhile. Tonight, the decision to stay home and eat rustic, hearty chicken chorizo vegetable stew paid off. Two days ago, the last day of summer ended and autumn began in the northern hemisphere. The stretch of daylight has regressed as evening grows dark earlier. It’s a time for festivals, harvest and rituals that prepare us for darkness, cold weather and a slower pace for some. Eating simple meals like stew prepared at home offers comfort and satisfaction. 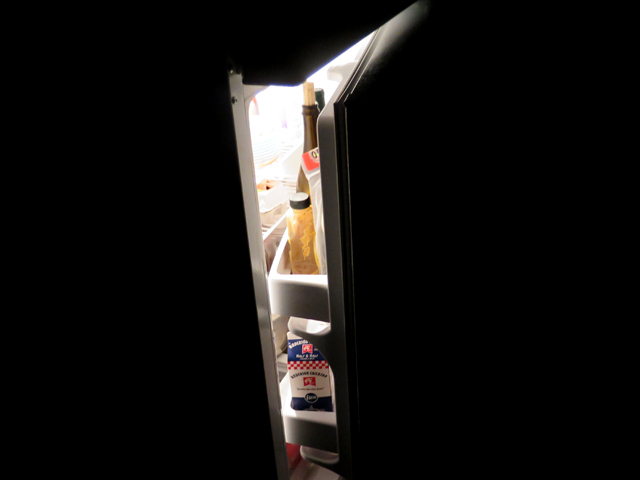 And opening the refrigerator door, a daily ritual to peer from the outside in, is a sort of kitchen equinox that observes a transition from dark to light, from indecision to inspiration. The possibility of hope and pleasure that awaits serves as a reminder that I can nourish myself no matter how many meals await elsewhere far beyond the refrigerator door. Thirty minutes past two in the birth of today. Unreal Ocean, a selection from a white noise generator app on my phone, fails to lull me to a deep sea sleep. I stir and tumble out of bed like a clumsy gymnast impressing no one with my floor routine. Hunger tugs. I scramble two eggs from Stanberry Community Farms. The eggs were nestled in a gray cardboard carrier. Each carton of eggs includes a slip of white paper eight-and-a-half inches wide and about an inch high. A handwritten message or poem is photocopied on the paper. The homespun message or observation bears a mark of humanity unlike any fortune cookie’s neat and pat wisdom printed in tiny typography. True enough. I save these slips of paper behind a magnet on the refrigerator. 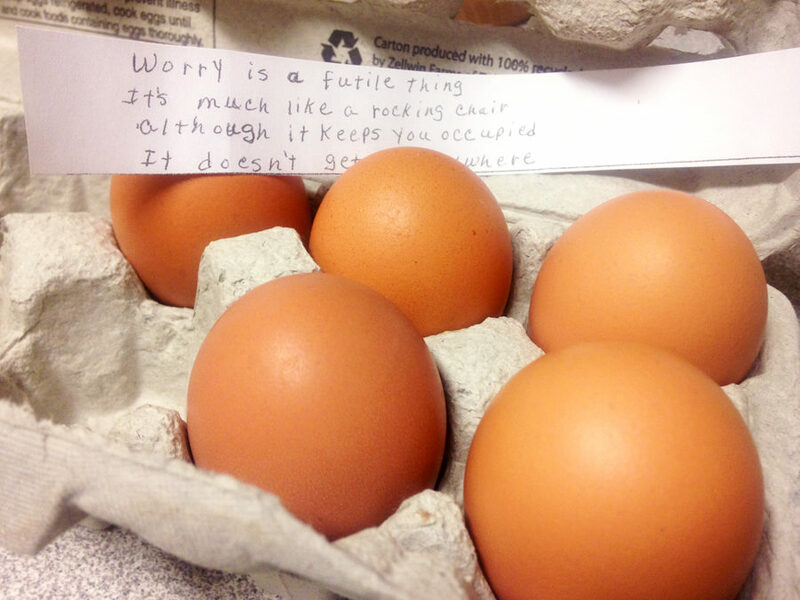 This lazy scrapbook reminds me that someone took the time to write and include a message in a carton of eggs produced by hens at a farm operated by a farmer an hour-and-a-half north of the bed where I can’t sleep. I fold the scrambled egg whites and yolks into the blanket of a white flour tortilla, add yellow shredded cheese produced from some factory, and tuck the warm meal into a handheld roll. The morning breakfast doesn’t last long. It rouses hunger even more. I obey. I hunt and peck in the refrigerator. Out comes a hunk of pork loin. Bunches of shiso mint, peppermint, and Italian parsley look like limp pom-poms from an underfunded junior high school in a town you’ve never heard of. A black cast iron skillet is called up for duty. I slake its thirst with sunflower oil. Heat soaks into its dense hide. I wash the herbs and cut a generous pinch from each bunch on a white cutting board. The nine-inch knife slices and minces the aromatic green leaves and stems like a scythe sails through stalks of wheat. I toss the herbs in a bowl. The refrigerator is an easy jailbreak for a hunk of white onion and its partner, a lemon that’s been partially amputated. I liberate a narrow wedge of onion, mince it into a flash mob, and add the bits and pieces to the bowl of herbs. The amputated lemon cries a river after a rough squeeze. I lightly toss the mix with a fork, season it with a brief April snowstorm of kosher salt, and set it aside. A single red baby potato doesn’t stand a chance against the knife. Sorry, babe. Slices lie flat, devoid of expression, still in shock. The cast iron skillet is a teenage dragon, all fumes and attitude, smoking, just sitting there doing nothing. Baby potato slices scream in the hot oil sauna. Sugars in the creamy white flesh slowly caramelize into golden brown. 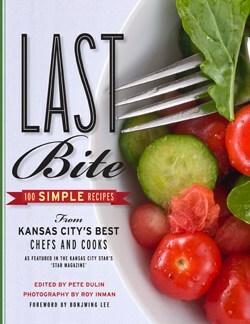 I grab the pork loin and trim out an oval medallion about three-quarters of an inch think. Salt and pepper applies a tag-team seasoning whammy. One, two, pow, bang. The potato slices are flipped, browned, removed, placed on a plate, and salted again for good measure. The pork is presented as an offering to the dragon. It hisses with appreciation. As the pork sears and sings one last song, I arrange six coins of browned potato in a circle on a white plate. I anoint the end of each slice with a dab of brown mustard. I turn the pork cutlet over, sear it off, season it, and gently arrange it in the middle of the petals of potato. Next I spoon a generous amount of herb garnish atop the pork. The garnish adds much-needed color and a pop of savory mint-lemon flavor to each bite. The mustard’s sharpness offsets the light greasy potatoes and plays sidekick to juicy pork. As I eat, deeper into the morning, I read a passage from “The Largesse of the Sea Maiden” by Denis Johnson, p. 40. The character Bill Whitman, who is “just shy of sixty-three,” muses in bed, unable to sleep. “When Kansas Was America’s Napa Valley” is the title of an essay I wrote for the series What It Means to Be American, a project by The Smithsonian and Arizona State University in conjunction with Zócalo Public Square. Los Angeles-based nonprofit Zócalo Public Square, an ASU Knowledge Enterprise Magazine of Ideas, syndicates journalism on its site to media outlets worldwide. Zócalo editor Eryn Brown contacted me in October 2017 and commissioned an essay for the series, What It Means to Be American. After discussion, we decided on a topic that would explore the history of winemaking and grape-growing in Kansas before and after Prohibition. 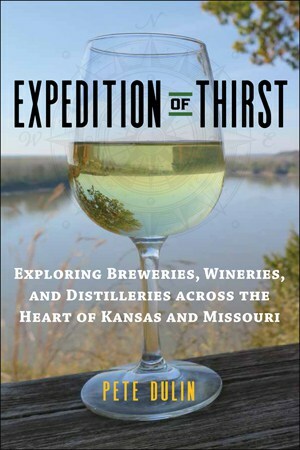 I wrote the essay over a month’s time, building on research I had unearthed while writing Expedition of Thirst: Exploring Breweries, Wineries, and Distilleries across the Heart of Kansas and Missouri. Below is an introductory excerpt from the essay. Visit the links below to read the entire essay. Located in the northeastern corner of Kansas, Doniphan County’s eastern edge is shaped like a jigsaw puzzle piece, carved away by the flowing waters of the Missouri River. The soil is composed of deep, mineral-rich silty loess and limestone, making it ideal for farming—and, it turns out, for growing grapes and making wine. California wasn’t always America’s winemaking leader. During the mid-19th century, that distinction went to Kansas and neighboring Missouri, where winemakers and grape-growers led the U.S. wine industry in production. Bold entrepreneurs, industrious Kansas farmers—many of them German-speaking immigrants—produced 35,000 gallons of wine in 1872. That volume jumped more than six-fold by the end of the decade. But the growth in Kansas’ wine industry (and its sister industry, brewing) coincided with dramatic changes in the state. From 1860 to 1880, Kansas’ population mushroomed from 107,206 to nearly one million people. Kansans battled over slavery in the Kansas-Missouri Border War (1854-1861) and again during the Civil War (1861-1865). Kansas vintners faced a dynamic and challenging moral, social, business, and political climate. The region’s civic and religious leaders railed against the use of alcohol, which they believed contributed to moral decay and spiritual rot, leading them to implement the first statewide prohibition on selling and manufacturing alcohol in the United States in 1881. For more than a century, this ban caused a slowdown from which the Free State’s winemakers are only now beginning to emerge. 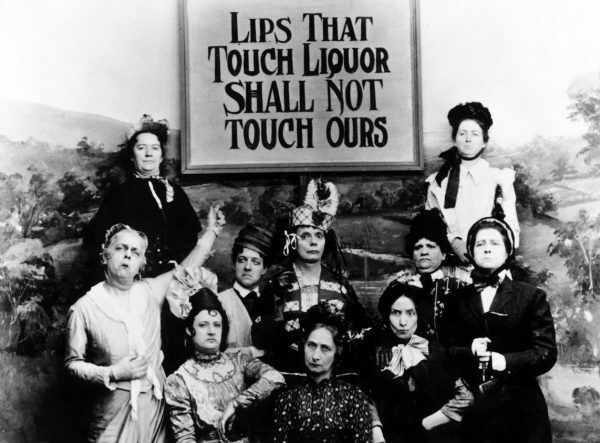 Image caption: Still photograph of teetotaler women from the satirical short film Kansas Saloon Smashers (1901), which spoofs the Wichita temperance activist Carrie Nation. Photo courtesy of Wikimedia Commons. In a recent “Tap List” beer column on Flatland, I wrote about a beer cocktail, the Hot Worty, served at Brewery Emperial on brewing days. 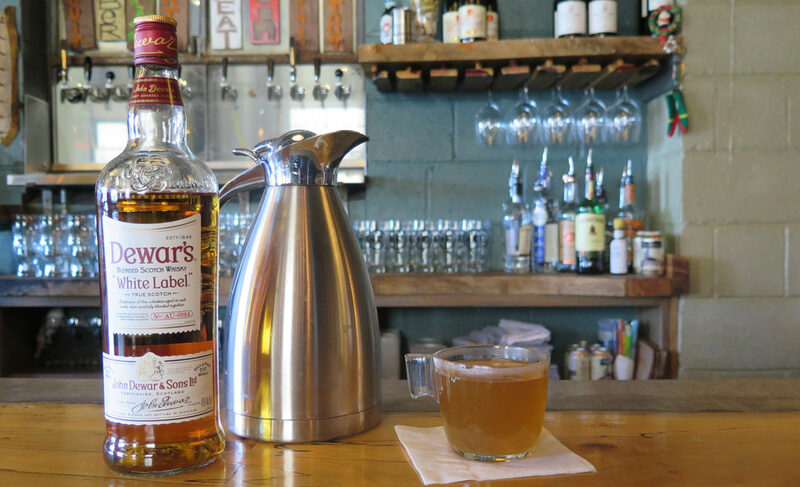 Similar to a hot toddy, a hot worty (also known as a Hot Scotchy) is made with fresh warm wort from the brewery kettle served with a shot of Scotch whiskey. The article goes into more detail about wort, hot worties, and how master brewer Keith Thompson and chef Ted Habiger, two of Brewery Emperial’s co-owners, first encountered the drink at 75th Street Brewery two decades ago. The article was edited for length. Here’s more background on the drink and its origins. Thompson and Habiger first encountered hot wort as a beverage at 75th Street Brewery, where the two friends first met and worked. Artie Tafoya consulted with the owners of 75th Street Brewery during the Nineties. Tafoya introduced hot wort as a drink to 75th Street’s brewer Tom Ricker and the brewery’s staff. 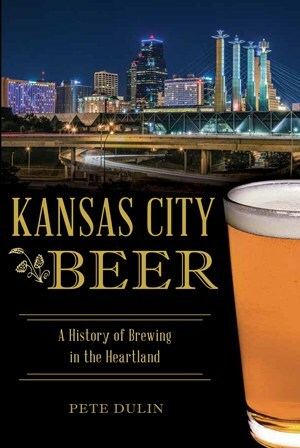 Brown Ale: History, Brewing Techniques, Recipes by Ray Daniels and Jim Parker further explains the drink’s murky origins. Through audiovisual journal entries like this one, I will share a peek into my work as a writer. In this case, it is literally in the field. I plan to use similar journal entries to explore and expand different forms of storytelling. Please look, listen, and leave a comment about what you like and what could be improved. Hopefully, you will enjoy this visit to Fair Share Farm. I enjoyed tromping through the fields and discussing the role of small-scale farmers like Tom and Rebecca. 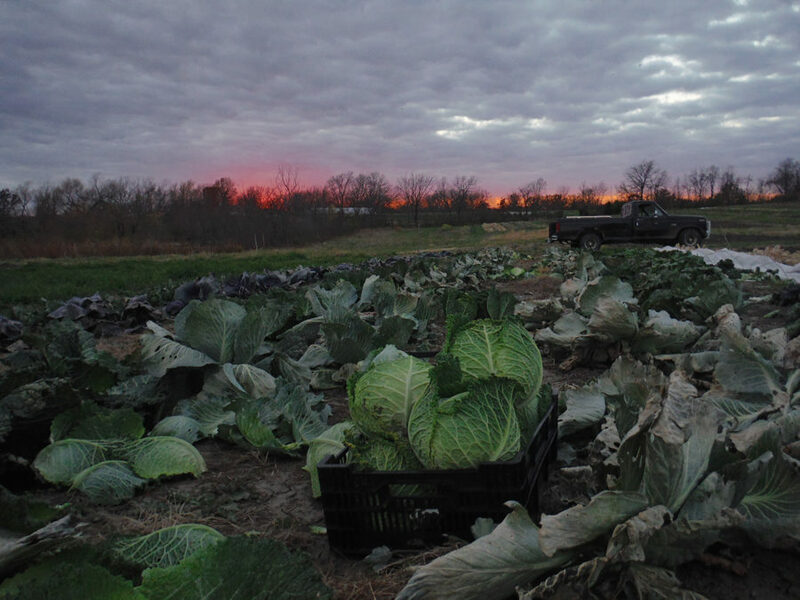 As the sun set, we settled down in their home for a truly farm-to-table dinner with ample conversation, wine and beer. But that’s a story for another day. The chicken pen. Guess which one rules the roost? 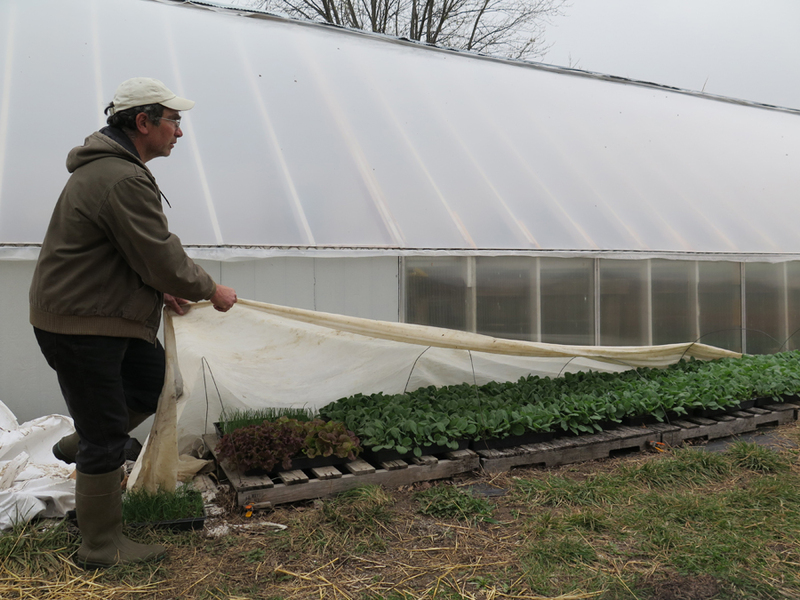 Tom and Rebecca cover starter plants before cool evening weather sets in. 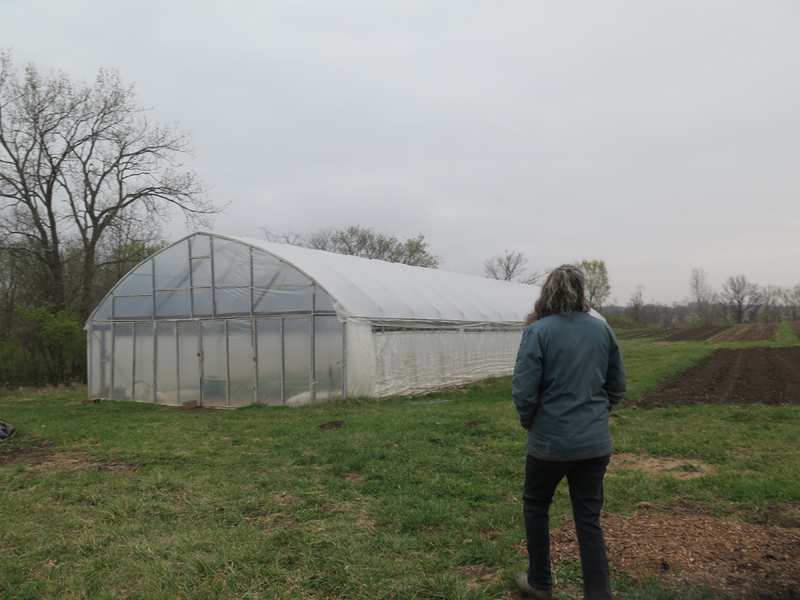 The passive solar energy greenhouse design uses natural heat to help the growth of seedlings into starter plants. 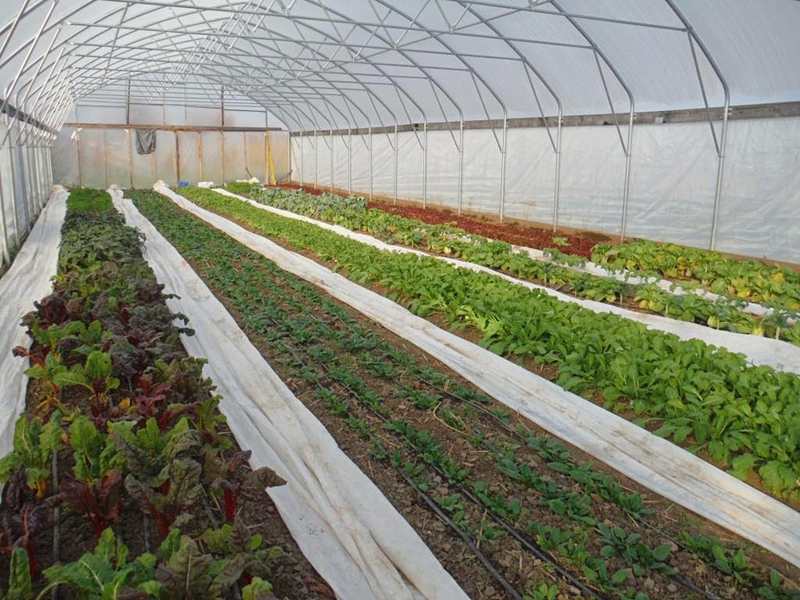 The high tunnel is used to extend the growing season and produce a wide range of crops. 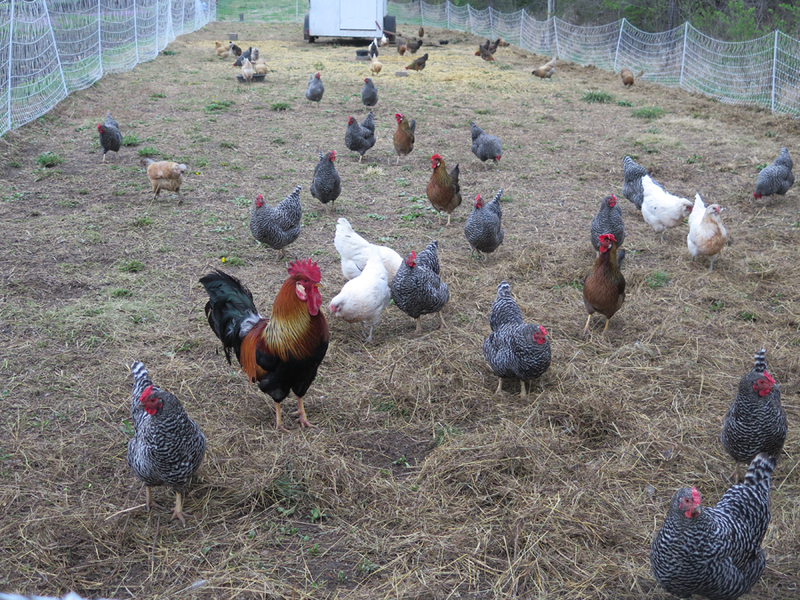 At times between plantings, the chickens are rotated to the high tunnel and let loose to feed on insects, seeds and plant matter, till the ground through their pecking, and leave manure as fertilizer for the soil. This integrated system of biological farming (rather than chemical-based farming) improves the health of the soil. It also helps to sequester tens of thousand of carbon dioxide through consumption by cover crops, such as oats and field peas, instead of being released into the atmosphere. 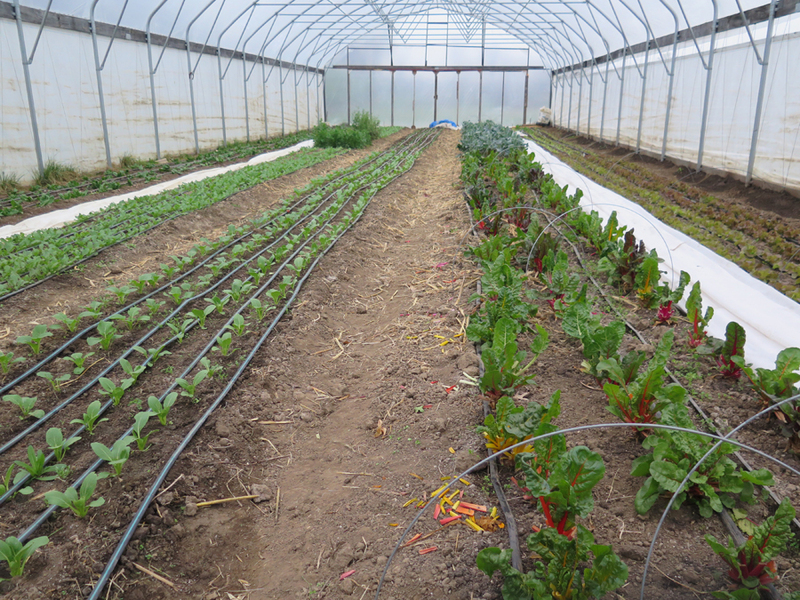 Below, the high tunnel with full beds of lettuces, greens, herbs and other crops. Image courtesy of Fair Share Farm. The second annual Females on Fire event at Jax Fish House brought together a collection of talented female chefs and restaurant industry professionals for a five-course dinner with amuse bouche and drink pairings. Held on October 11, 2016, this year’s featured chefs include Julian owner and chef Celina Tio, Bluestem pastry assistant Elise Landry, Krokstrom Klubb & Market chef Katee McLean, chef Kelly Conwell with Stock Hill Kansas City Steakhouse, Novel pastry chef Jessica Armstrong, and chef de cuisine Theresia Ota and executive chef Sheila Lucero from Jax Fish House. Drinks were prepared or selected by Clare Gillette with Pinnacle Imports, sommelier Jennifer Daugherty, Jax Fish House assistant general manager and cicerone Margaret Adams, cicerone and BackNapkin marketing director Erica Schulte, Restless Spirits Distilling co-owner Benay Shannon and Ça Va sommelier Caitlin Corcoran. Also held annually at Jax Fish House in Denver, the Females on Fire event creates a showcase for the female talent in an industry where the top talent is predominantly white and male. Rather than interpret the meaning of Females on Fire from my perspective, I invited several of the women involved in this event to share their thoughts on its significance and value. What does participation in the Females on Fire dinner mean to you as a professional in the restaurant industry? Bringing Females on Fire to Kansas City was one of the first thoughts that crossed my mind when I got hired at Jax Kansas City. My boss and mentor Chef Sheila Lucero was hosting these events in Colorado when I was a brand-new cook. I always aspired to be invited to attend, and now I get to host them! It’s a thrill and an honor. What do you think Females on Fire signifies or communicates to the public in attendance? The Kansas City restaurant community is super talented, welcoming and supportive. I hope Females on Fire showcases all of those qualities. Favorite aspect of the event? I love getting to work with these women. We all manage kitchens. We all have a somewhat similar experience making our bones in this industry. I view Females on Fire as a celebration of making it, and achieving the goal of becoming a titled chef. I want more women to be involved and experience camaraderie; that we can all achieve and be successful. In my career so far, I’ve worked a handful of events with a similar layout as Females on Fire with a group of chefs coming together and each having a course and a pairing. However, I’ve never worked a dinner where I’ve gotten my own course! I see it as a huge step in my career, and it means a lot that those I’ve always seen (and continue to see) as mentors are starting to become my peers. I think the Females on Fire dinner represents a shift in the once male-dominated industry. More and more I see kitchens with an equal number of men and women. 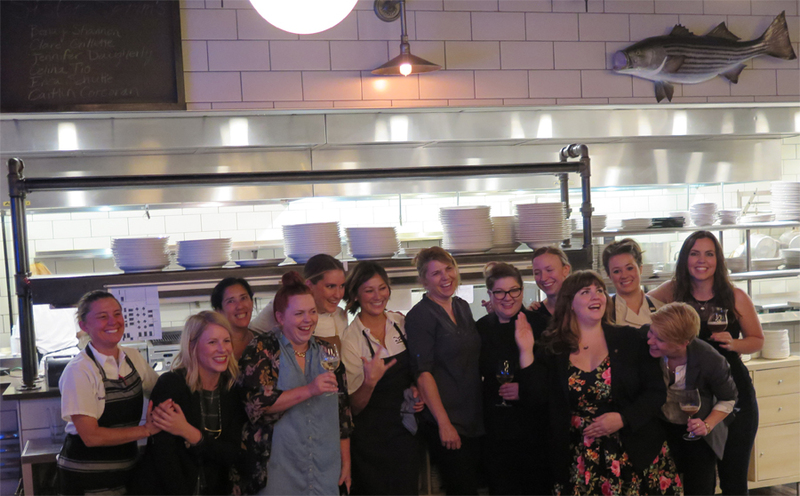 This dinner was a way to showcase (some of) the female talent in KC (because there is a lot!) to the public. The dinner sold out, so I think it’s safe to say we are a force to be reckoned with! I participated for the second year in the Females on Fire dinner. It’s an honor for sure! There are a ton of women in KC constantly raising the game in the industry so it’s a huge compliment to get asked. It’s such good networking as well as an easy way to build new friendships. I hope that the attendees see it as collaboration as well as an experience they look forward to every year. Local women coming together to present something collectively shows respect and passion. It’s such a fun and laid-back event. Hopefully they see it as a chance to be introduced to new food or spirits/beer/wine that they didn’t know about. Educating is always a big thing for me and putting it into such a fun dinner is a blast. My favorite aspect is that it’s just plain fun. Preparing for it has never felt like work, because it’s something I love. The experience both years has been memorable. At the end of the day, that’s more important than anything – creating the experience they won’t forget. We’re all so busy. It’s awesome when we get to cook and share best practices with other great chefs. I think that it show exactly that – community. We all work hard to do great things but when you can support one another, that is extra special. I know people aren’t going to dine with me every day of the week. I like to be able to suggest other great places throughout the city. When we come together and work together, we show everyone that teamwork is key. Finally meeting some people whose places I haven’t yet been because of my schedule. As a woman in industry, dinners like this are really exciting because I’m used to being one of the few women in the building. In fine dining, the standard still seems to be put a cute girl at the door and that’s it. In the last decade, I haven’t worked with more than four other female servers at a time. To spend an evening with knowledgeable women at the top of their game was invigorating. I’m excited to have been part of the event to show the public we are out there. It may take pooling from different restaurants to fill a room, but that’s another story. Despite my pin, I often have guests who don’t seem to believe I’m a sommelier. The chef I was paired with, Katee, has people assume she must be front of house when she says she owns a restaurant. People automatically assume chefs are men and women work in diners and call you “hon” as they serve you pie. I sometimes have people googling food info at my tables because they don’t think I know what I’m talking about. My favorite aspect was listening to how collaborative everyone was. We tried each other’s courses or pairing and discussed in thoughtful detail how we felt about it. We immediately started spit balling off each other about future adventures we’d like to make happen. 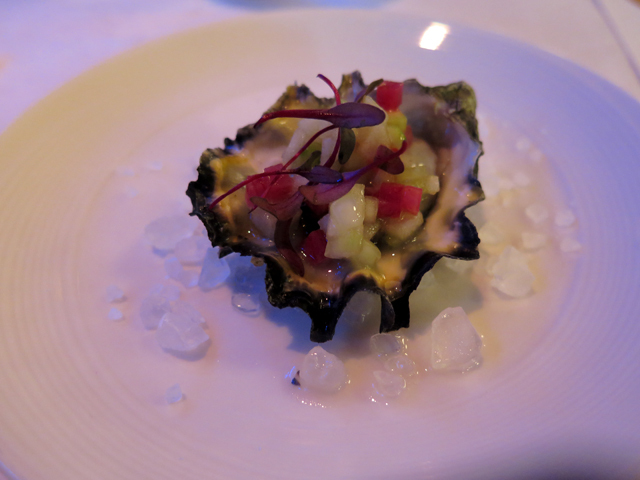 Chef Kelly Conwell of Stock Hill prepared an amuse bouche of Fanny Bay Oyster with apple, cucumber, ginger, and Champagne mignonette. Restless Spirits distiller/co-owner Benay Shannon paired the course with a cocktail of Builder’s Gin, lavender and lemon. Chef Jessica Armstrong of Novel created a crab eclair with caviar. 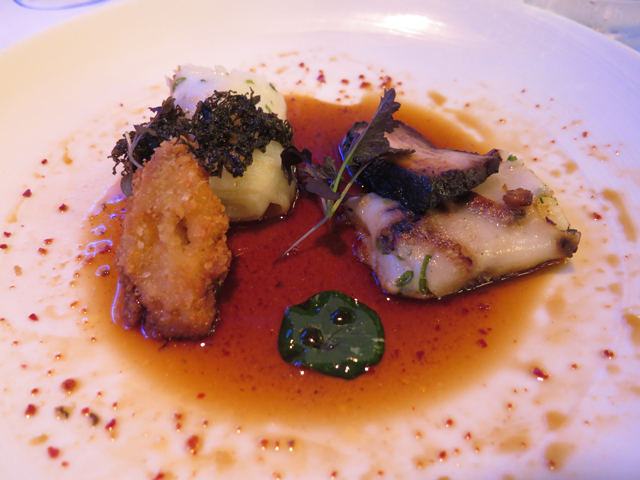 Clare Gillette selected Champagne Extra Brut NV Pierre Gerbais from France for the pairing. Chef Katee McLean of Krokstrom Klubb made smoked scallops served with roasted and pickled cauliflower, celery, and sour cream. Sommelier Jennifer Daugherty opted to serve Sancerre, Chaumeau Balland 2014 from France. Chef Celina Tio of Julian accented tai snapper crudo with raspberry, wakame, and yuzu. She paired the course with Jolly Pumpkin’s O Saison beer. Chefs Sheila Lucero and Theresia Ota of Jax Fish House composed a dish of abalone with hand-folded rice noodle, cha shu, scallion, black vinegar, and dulse. 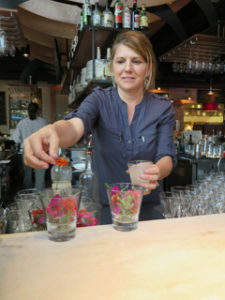 Erica Schulte’s beer cocktail featured J. Rieger gin, Blossom of Peace plum sake, Hitachino wit beer, and ginger. 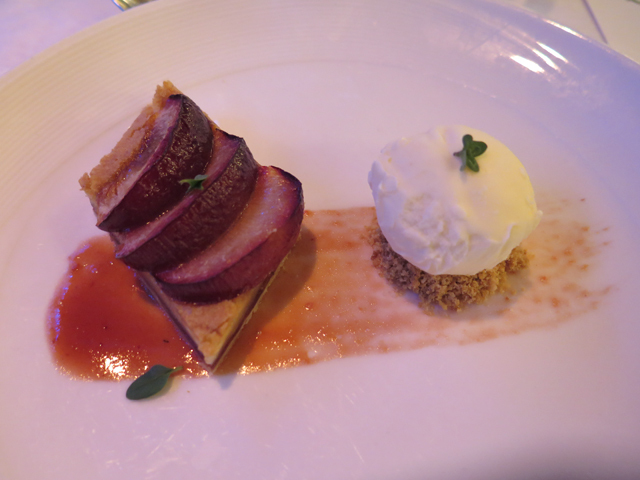 Chef Elise Landry of Bluestem prepared brown butter tart with roasted plums, buttermilk ice cream, and thyme. Caitlin Corcoran of Ça Va served Champagne Demi-Sec NV Premier Cru, A Margaine, from France.